If your dogs are barking, there could be any number of reasons for it. Poor footwear is usually at the top of the list. If you consider the amount of walking most New Yorkers do, it’s no wonder that an ill-fitted shoe could be at the root of your problem. If you’re a runner, it’s essential to change your running shoes every 300-500 miles or every six months, whichever comes first. Heredity also plays a role in it but a surprisingly small one. Even though your parents might have bunions they are most commonly caused by friction from a tight, unyielding, or poorly designed shoe. Foot pain can also be referred pain caused by trigger points in any of the lower leg muscles. 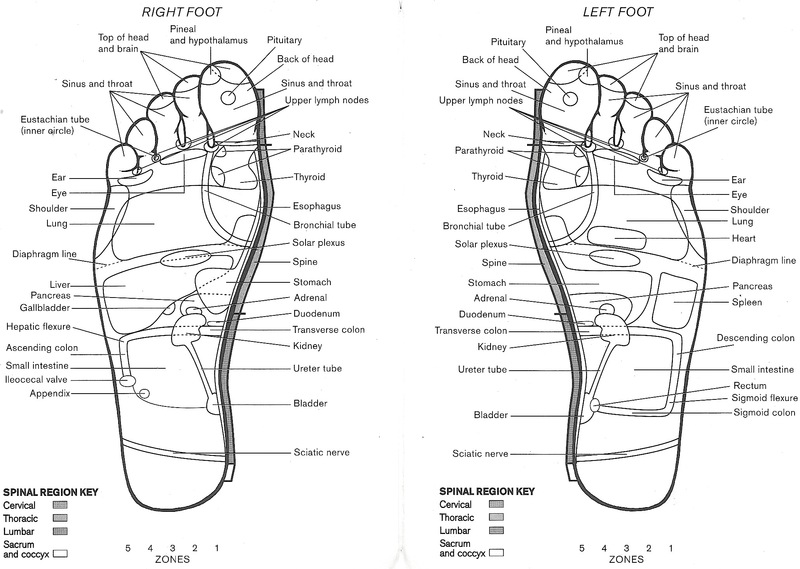 If rubbing your feet doesn’t seem to be helping much, then trigger point therapy to the lower leg might just do the trick. High Arches (Pes Cavus): Exaggerated longitudinal arches can predispose you to conditions such as plantar fasciitis, hammer toe, claw toe, and metatarsalgia. Common causes include poor footwear, heredity, bone or joint disease. Flat Feet (Pes Planus): Collapsed or fallen arches often due to the weakening or overstretching of ligaments. Common causes include poor footwear, heredity, bone or joint disease, obesity. Bunions (Hallux Valgus): A deformity of the big toe. Often caused when the mp joint (metatarsal-phalangeal joint) rubs against the shoe resulting in inflammation, formation of a bursa, and finally a calcification of that bursa. The result is a toe that deviates away from the midline of the foot and is usually painful to most. Hammer Toe/Claw Toe: A curling of the toes usually due to poor footwear or heredity. Metatarsalgia: Pain under the metatarsal heads of the feet. Common causes include a collapsed transverse arch, a subluxation of the 2nd or 3rd mp joints, Morton’s neuroma, Morton’s foot structure, excessive pronation of the foot, high heeled shoes, and tight calf muscles. Morton’s Neuroma: A thickening of nerve tissue usually between the 3rd or 4th toes. The neuroma then becomes compressed under the metatarsal heads resulting in pain. Often caused by irritation or injury to the foot. Morton’s Foot Structure: A condition whereby the 2nd mp joint is longer than the 1st. Ordinarily, the foot bears the weight of your body between the 1st mp joint, the 5th mp joint, and the heel. This tripod configuration is nature’s way of allowing your foot to adapt to uneven surfaces while keeping your balance. When the the 2nd mp joint is longer than the 1st (a long second toe does not necessarily indicate a longer mp joint), it makes contact with the ground first redistributing the weight between the second joint and the heel. When this happens it’s equivalent to walking on ice skates! Fairly common (occurring in 1 in 4 people) and often overlooked, this increased instability at the ankles can result in problems as far away as the head and neck. Plantar Fasciitis: A painful condition caused by inflammation of the plantar fascia of the foot. Common causes include excessive pronation of the foot, high arches, and tight calf muscles. Pain is usually felt along the medial arch of the foot and can be most tender in the morning during those first few steps. Chronic inflammation and irritation of the fascia can often lead to heel spurs. Achilles Tendinitis: Inflammation and swelling of the Achilles tendon as a result of overuse or direct trauma. Prevalent amongst runners and jumpers, pain from Achilles tendonitis can range from a diffuse tenderness at the back of the heel, to an intense, burning pain which can be quite debilitating. Heels Spurs: A boney outgrowth of the heel (calcaneus) often formed from chronic plantar fasciitis or Achilles tendinitis. Corns/Calluses: A thickening of the skin caused by localized friction. Calluses tend to be relatively flat whereas corns are usually conical in shape and can be hard and painful. They can occur on the hands and feet and are the body’s way of protecting itself from constant irritation. Plantar’s Warts: Small benign skin growths at the soles of the feet caused by the human papilloma virus. Plantar’s warts are usually flat and surrounded by thick skin. They can be very tender to some and are easily spread from one area of the body to another. Athlete’s Foot: A fungal infection that grows between the toes and over the sides of the feet. Highly contagious, it can produce scaling, itching, or painful rash.